Achiezer and Hatzalah once again continue their free community wide health training series. 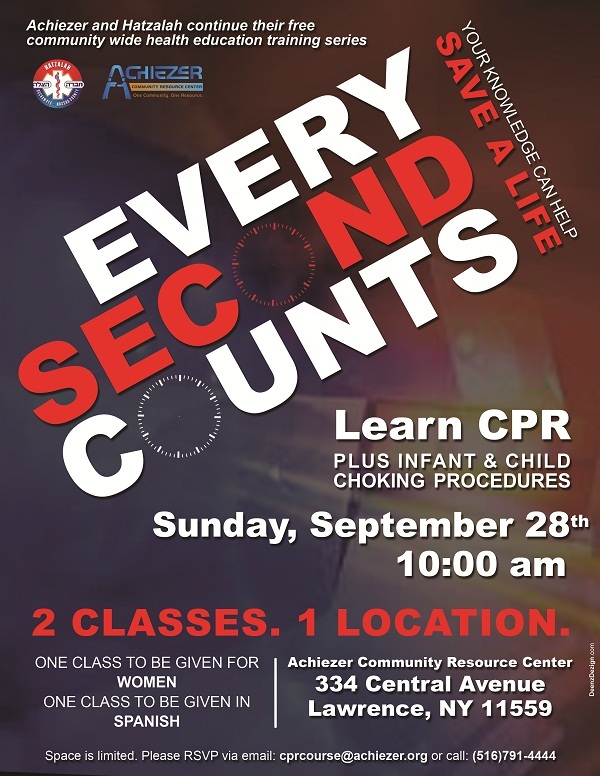 On Sunday, Sepetember 28, 2014 at 10:00am, CPR and infant/child choking procedures will be taught at the Achiezer office. One class will be given for women and one class will be given in Spanish. To register for the class please email cprcourse@achiezer.org or call 516 791 4444.